French energy group Total and Saudi Aramco signed an agreement on Monday to start engineering studies for the $5 billion construction of a petrochemical complex at the Jubail Satorp refinery on the eastern coast of Saudi Arabia. Start-up of the complex, which will include a mixed-feed cracker with capacity of 1.5 million tons per year of ethylene and related high-added-value petrochemical units, is expected in 2024, the companies said. "Satorp's second-phase expansion represents a quantum leap in Saudi Aramco’s downstream strategy to maximize our hydrocarbon resources and help position the Kingdom as a chemicals manufacturing hub," Saudi Aramco Chief Executive Amin Nasser said in a statement. 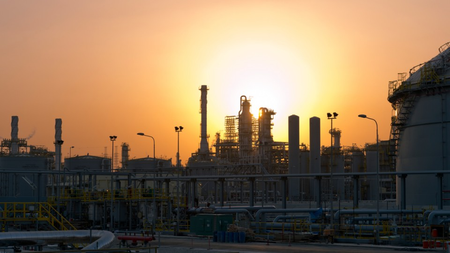 The Jubail project is part of the French oil and gas giant's strategy to grow its petrochemicals business and tap into the growing demand for polyethylene, used in packaging, pipes, plastics and other composite materials. "This world-class complex also fits with our strategy to expand in petrochemicals by maximizing the synergies within our major platforms, leveraging low-cost feedstocks and taking advantage of the fast-growing Asian polymer market," Total's CEO Patrick Pouyanne said in the statement. The companies said the complex would provide feedstock to other petrochemical and specialty chemical plants located in the Jubail industrial area and beyond, representing an additional $4 billion investment by third-party investors. The Satorp refinery is a joint venture in which Saudi Aramco holds a 62.5 percent stake, while Total holds the other 37.5 percent.